Does Sierra Nevada ever stop creating new IPAs or methods to innovate on a style in which they dominate? I guess not! Hop Bullet Double IPA was on the local liquor store shelves today, so I grabbed a bottle. 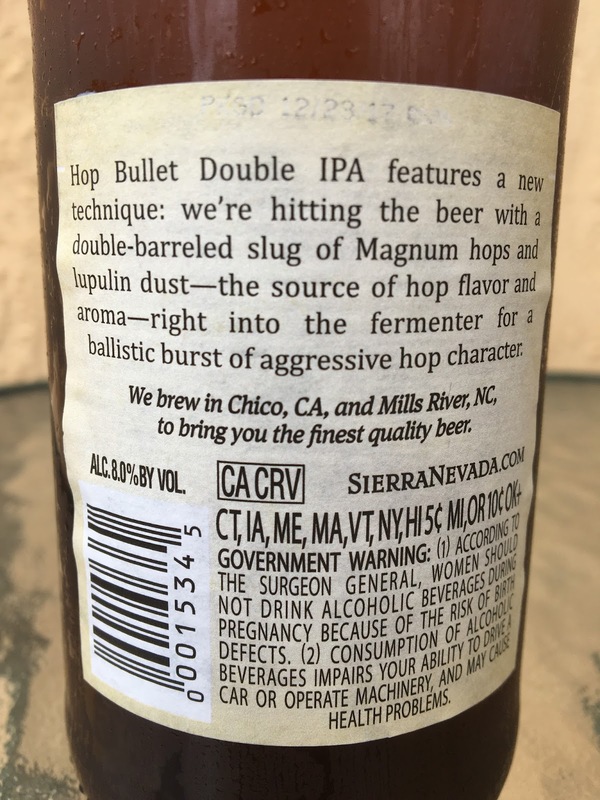 Hop Bullet was brewed with a double-barreled blast of Magnum hops and lupulin dust! That's pure hoppy concentration! Let's see! 8.0% alcohol. A spring seasonal, for now. Fruity orange aroma, pretty tame and not so big. Whoa! Flavors are super intense. Super juicy and fruity to start. Tropical, orange, mango, pineapple. But those sweeter flavors have a grassy, spicy, bitter answer with some citrus and pine showing too. 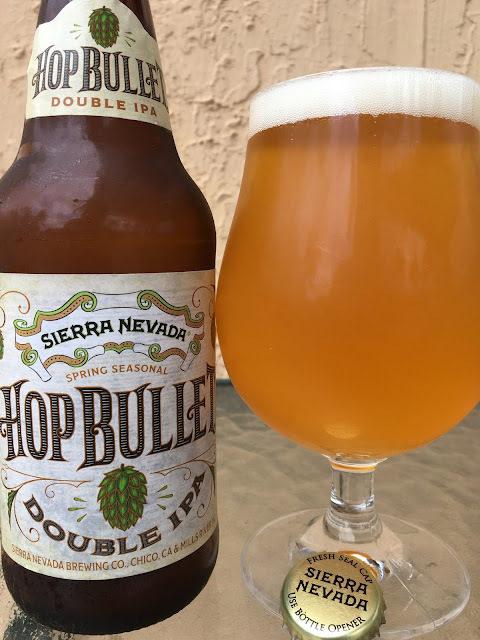 Excellent flavors, well balanced leaning bitter. Terrific!